If you need a bit more room the Chevrolet Suburban shares the same architecture and look but has a third-row seat that’s more spacious and easier to get into. For those who need to get work done, but with some style and comfort, practicality still reigns in the 2009 Chevrolet Tahoe. 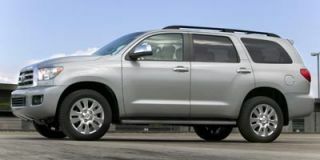 TheCarConnection.com's editors and SUV enthusiasts drove the new Tahoe Hybrid in order to give you an expert opinion. 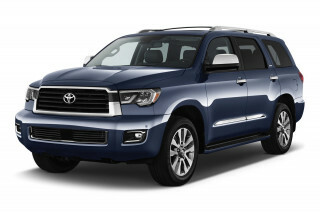 TheCarConnection.com also researched available road tests on the new Tahoe Hybrid to produce this conclusive review and to help you find the truth where other car reviews might differ. One of the most notable aspects of the 2009 Chevrolet Tahoe Hybrid is that it has the same basic appearance and capabilities as the non-hybrid, V-8-powered Tahoe. The Tahoe Hybrid benefits from an advanced two-mode hybrid system combining an electric motor system with a conventional V-8 engine. It involves no special skill set compared to the standard Tahoe; simply climb in, turn the key, choose a gear, and drive. You'll also go up to 50 percent farther on a gallon of gas. The 2009 Chevrolet Tahoe Hybrid has a look that might be mistaken for one of the other Tahoe models except for subtle badging, along with an aerodynamically refined exterior. Inside, the Tahoe Hybrid is equipped much like the premium Tahoe LTZ, but the instrument panel is unique, as are the lightweight leather-trimmed front seats. The Chevy is capable of running up to 32 mph on only electric power, so don’t be surprised if the engine doesn’t start. That so-called full-hybrid operation is a feature that brings especially good fuel economy in town. By achieving EPA fuel economy ratings of 21 mpg city and 22 mpg highway for the two-wheel-drive model, the 2009 Chevrolet Tahoe Hybrid takes small sips compared to the 5.3-liter V-8 in the standard Tahoe, which guzzles 14 mpg in the city and 20 mpg on the highway. The Tahoe Hybrid's mileage nearly equals that of mid-size sedans in real-world city driving. All of this economy does not compromise the Tahoe Hybrid’s 6,000-pound towing capacity, and there is an abundance of power and extra torque from the twin electric motors propelling this full-size SUV. When the Tahoe Hybrid runs on battery power, it can be eerily quiet, but as you get used to it, other vehicles seem loud. The advanced powertrain of the 2009 Chevrolet Tahoe Hybrid combines a specially outfitted 332-horsepower 6.0-liter V-8 with what looks like a regular automatic transmission. The two electric motors combine with the four-speed automatic transmission. The technology (codeveloped with BMW, Mercedes-Benz, and Chrysler) works well, and the 2009 Chevrolet Tahoe Hybrid drives beautifully. Rest assured that the 2009 Chevrolet Tahoe Hybrid includes all the goodness that comes with the standard Chevy Tahoe model. New standard features on the 2009 Chevy Tahoe Hybrid bring more of a high-tech feel to the package inside; they include adjustable power pedals, Bluetooth connectivity, OnStar 8.0 with Stolen Vehicle Slow Down, XM Satellite Radio with new real-time NavTraffic feature, turn-by-turn navigation, and Destination Download. Chevrolet does charge a premium—approximately $5,000—for the Tahoe Hybrid. As such (depending on the greatly fluctuating price of gas), it could take more than five years of driving to recoup that expense. This premium is even harder to swallow considering the 2009 Chevrolet Tahoe Hybrid suffers from some of the same issues as the standard Chevy Tahoe, such as a cramped third-row seat. 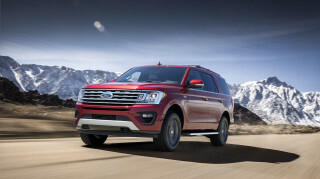 However, the editors of TheCarConnection.com anticipate a much more impressive resale value for the Tahoe Hybrid compared to other full-size SUVs, especially in times of high gas prices. A slightly more streamlined exterior and unique instrumentation differentiate the 2009 Chevrolet Tahoe Hybrid, but from a distance, it’s just a Tahoe. There are subtle and obvious differences between the 2009 Chevy Tahoe Hybrid and its fraternal twin, the standard-model Tahoe. 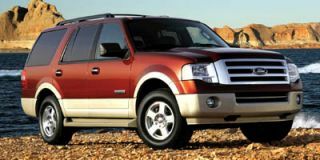 The editors at TheCarConnection.com find that most reviewers consider the 2009 Chevy Tahoe Hybrid stylish and handsome for a vehicle of its size. Cars.com says the Hybrid has a "stylish appearance" and refers to the "large 'Hybrid' graphics on the side doors and smaller ones on the windshield and rear window” as "notable." According to ForbesAutos, the Chevrolet Tahoe Hybrid is "still boxy and burly"—unsurprising, considering that the standard Tahoe is what Edmunds deems "a traditional full-size SUV built on a truck platform." All 2009 Chevy Hybrid Tahoes receive unique lightweight alloy wheels (with hollow spokes to reduce weight) shod with low-resistance tires. Kelley Blue Book notes that the 2009 Chevrolet Tahoe Hybrid also comes with a longer roof spoiler and sharp-edged, body-colored D-pillars, but it is not available with a roof rack. Other than a more streamlined appearance, the changes do not drastically alter the look from that of the standard Tahoe. Some differences are related to body changes designed to reduce drag and improve efficiency. Car and Driver notes its "attractive exterior" includes "reworked front and rear fascias, running boards, and D-pillar moldings [that] help reduce the drag coefficient from 0.36 to 0.34." Automobile "likes the lower front fascia that resembles a tasteful body kit," though they speculate it may be a problem "traversing boat launches and so forth." The Detroit News calls the 2009 Chevy Tahoe Hybrid "uncompromising in its size," while AutoblogGreen thinks it's "gargantuan." To further differentiate it from other Tahoe trims, the 2009 Tahoe Hybrid is equipped with a unique instrument cluster. Edmunds describes the interior of the 2009 Chevrolet Tahoe Hybrid as "handsome with fine build quality." ForbesAutos also calls the interior "handsome" and notes the Hybrid's "two-tone instrument panel with LED-backlit instrumentation [and] chrome trim." From the second row back, the 2009 Chevy Tahoe Hybrid is no different from a fully loaded Tahoe LT. Edmunds notes the Chevrolet Tahoe Hybrid 2009 "looks like any other [late model] Tahoe on the inside, except for the metallic trim in place of faux wood accents." While the 2009 Chevrolet Tahoe Hybrid doesn’t handle as well as the standard Chevy Tahoe, it beats the nonhybrid Tahoe in both acceleration and fuel efficiency. The 2009 Chevrolet Tahoe Hybrid offers better acceleration, braking performance, and fuel efficiency than the standard Tahoe. For the 2009 model year, a 332-horsepower 6.0-liter small-block V-8 engine and powerful twin electric motors power the Chevrolet Tahoe Hybrid. Car and Driver finds the Chevy Tahoe Hybrid "charged to 60 mph in just over eight seconds." 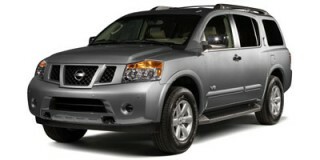 In other reviews read by TheCarConnection.com, passing performance is an aspect of the hybrid Tahoe that receives praise. Edmunds contends "the hybrid has improved throttle response in passing situations" compared to the standard Tahoe. According to Kelley Blue Book, the 2009 Chevy Tahoe Hybrid has "plenty of muscle when it's needed" and "can tow up to 6,200 pounds." Chevrolet equips the Tahoe Hybrid's engine with Active Fuel Management that cuts fuel flow to half the cylinders in low-load situations such as when cruising or braking. The vehicle is also able to operate solely on electric power at speeds of up to 32 mph, provided sufficient charge is available from the hybrid battery pack located under the second-row seats. The 2009 Chevrolet Tahoe Hybrid's sophisticated powertrain not only improves fuel efficiency but also allows for faster acceleration from 0-60 than the standard Tahoe, while still rated to tow 6,200 pounds (2WD models). The 2009 Chevy Tahoe Hybrid features one of Chevrolet’s most noteworthy transmissions. Kelley Blue Book says "the shift between electric power and the gasoline engine is seamless, as is the Active Fuel Management's switch from eight cylinders to four." Popular Mechanics reports, "Aside from the battery pack and [engine], the two-mode [propulsion] system is located almost entirely in the transmission housing. Through a complex computer-controlled ballet, the system decides which combination of engine...electric motors and gears should be applied for optimal fuel economy." Kelley Blue Book notes that the "two powerful electric motors...add additional torque when required and can move the Hybrid without the engine's assistance." One fact worth pointing out comes from Automobile, which states, "GM's two-mode transmission doesn't include a reverse gear." Only the electric motors provide reverse, so if the battery is low, one would have to wait for the battery to recharge before backing up. According to Car and Driver, "the transmission has four fixed ratios, which are selected when the electric motors are needed to charge the batteries or when towing heavy loads" in addition to a continuously variable transmission combined in one transmission housing. Each of the four fixed-gear ratios may be selected manually for engine braking or power holding. Multiple reviews read by TheCarConnection.com editors reveal fluctuating real-world fuel mileage. Kelley Blue Book is able to attain 22.7 mpg in stop-and-go driving only by "feathering the throttle and keeping our speed below 30 miles per hour." Car and Driver averages in a 4WD model "a respectable 18 mpg over a 250-mile weekend.” According to fueleconomy.gov, the Chevrolet Tahoe Hybrid 2009 EPA estimates are 21 mpg city and 22 mpg highway for 2WD models and 20 mpg city and highway for 4WD models. Edmunds states, "The marginal bump in fuel economy will improve your sense of social responsibility more than it will your carbon footprint." The 2009 Tahoe Hybrid handles exactly how you’d expect of a vehicle this size and weight. Edmunds says the 2009 Chevy Tahoe Hybrid "handles about the same as the standard Tahoe." Cars.com finds "it rolls around in corners and it is cumbersome in parking lots,” and Car and Driver reports that the "electric power steering is light on effort and even lighter on feel." The light steering probably doesn't help improve its handling. Opinions of ride quality are mixed. Cars.com thinks the 2009 Chevrolet Tahoe Hybrid has "a rather stiff, truck-like ride," while ForbesAutos attests, "A responsive suspension delivers a fairly smooth ride with relatively composed handling." Braking is partially frictional and partially regenerative, which feeds the 300-volt hybrid battery. "The hybrid comes to a stop from 60 mph in 132 feet," says Edmunds, "as good or better than any full-size SUV we've tested." In fact, Popular Mechanics finds "the brakes are stronger and quicker to respond than those on a normal Tahoe." The 2009 Chevrolet Tahoe Hybrid is quieter and refined inside, but some might be disappointed with the fit and finish of the interior in this $50,000-plus vehicle. The 2009 Chevrolet Tahoe Hybrid equals the standard Tahoe in terms of comfort, space, and ergonomics. With seating for eight, the 2009 Chevrolet Tahoe Hybrid is "cavernous,” according to Edmunds, but the low seating position in the third row means "grownups won't want to spend much time back there," reports AutoblogGreen. All seating surfaces are leather—a standard feature; the front seats are heated and the driver can enjoy six-way power adjustment with manual recline. "The front seats [in 2009 Chevy Tahoe Hybrids]," says the Detroit News, are "made lighter to cut the vehicle's weight, have plastic curved pieces on the back to allow second-row passengers...more room." Cars.com remarks, "the heated leather front bucket seats offer OK comfort and thigh support." Unlike some of its competitors, the 2009 Tahoe Hybrid does not feature folding second- or third-row seating. Edmunds reports that the "50/50-split-folding 3rd row seats can be removed with a yank of the release handle," and the second-row seats "tumble forward for more cargo capacity." Motor Trend thinks that adding or removing the third-row seats is "a single-person operation [and] the added cargo space with the third row removed is welcome." Cars.com notes that in the Chevrolet Tahoe Hybrid 2009 there's "60.3 cubic feet [of] interior cargo volume [with second and third row] seats folded." “Unremarkable” is how several reviewers describe the fit and finish of the 2009 Tahoe Hybrid’s interior. The "look and texture as well as the fit of the plastic panels is fine," says AutoblogGreen, adding that "the quality of some of the materials seems lower than you might expect in a vehicle costing over $50,000." Conversely, Cars.com gushes, "minor changes were made to improve an already excellent interior." The rear glass window is fixed in place and cannot be opened separately, so park away from walls and other obstructions if you need to toss something in the back. However, made from lightweight aluminum, the hood and liftgate of the 2009 Chevy Tahoe Hybrid have been designed to save weight. Thus, both are easier to lift than those on the standard Tahoe. Better aerodynamics equals reduced wind noise compared to the less-streamlined nonhybrid Tahoe. AutoblogGreen finds it "kind of spooky rolling along in such a big heavy vehicle in almost complete silence [in electric-only mode]." Cars.com notes it's "difficult to tell when the Tahoe Hybrid's gas engine kicks on when accelerating from a stop—there's no jerkiness or even any engine noise." 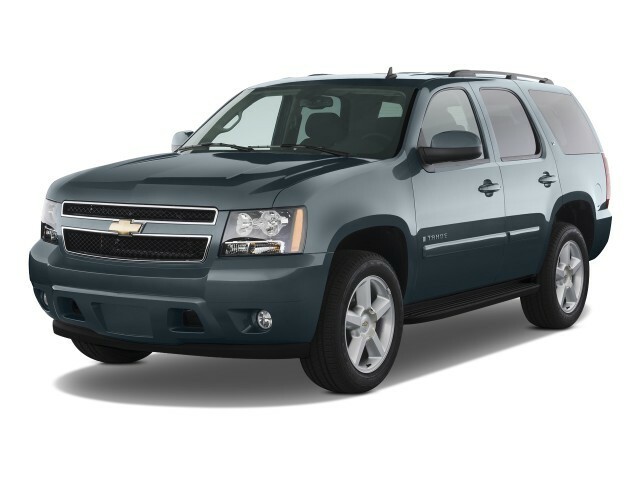 Mind your outward visibility; otherwise, the 2009 Chevrolet Tahoe Hybrid is a safe, well-equipped SUV. Reviewers criticize visibility from inside the 2009 Chevrolet Tahoe Hybrid, but the SUV is loaded with safety features. Five stars are given to the Tahoe Hybrid for front and side impacts from the National Highway Traffic Safety Administration (NHTSA). According to safercar.gov, the 2009 Chevrolet Tahoe Hybrid includes curtain airbags for all three rows, daytime running lights, four-wheel all-disc ABS, tire-pressure monitors, auto door locks, automatic crash notification (via OnStar), and LATCH points for securing child car seats. Additionally, 2009 models are equipped with an "electronically-controlled braking system [that] also provides full traction and stability control," according to AutoblogGreen. But these features are standard among all the Tahoe's competitors, too, save for OnStar. ForbesAutos points out that "the side-curtain airbags remain inflated for several seconds to protect passengers in the event of a rollover"—a unique feature of the 2009 Chevy Tahoe Hybrid. Cars.com says the Tahoe Hybrid has "brackets attached to the front of its frame...designed to help it better engage with the structure of a smaller vehicle during a crash.” Three-point safety belts are standard for all seating positions, but head restraints are not available for the center positions in both rows. The Tahoe Hybrid does have some drawbacks. AutoblogGreen points out that there are "plenty of blind spots" and "changing lanes or pulling into tight parking spaces...requires extra care." However, a backup camera and side mirrors with curb tilt are also standard equipment. The 2009 Chevrolet Tahoe Hybrid offers real utility in a well-equipped, green package, albeit for the price of a full-fledged luxury-brand SUV. There are only a few options available on the Chevy Tahoe Hybrid; the SUV comes from the factory with nearly everything as standard equipment. The expense of the two-mode hybrid system, along with a full range of accessories, is built into the price of the heavily loaded Tahoe Hybrid. According to AutoblogGreen, "To help minimize the loss, the system is installed on well-equipped vehicles that people are willing to spend more for.” Thus, there isn't a "no-frills" version of the Chevrolet Tahoe Hybrid. That's not to say you'll be stuck with unpopular features, but you will have to pay for them. 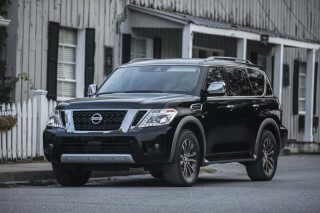 Standard features include leather, a navigation system (which Edmunds says is "easy to use"), a nine-speaker Bose audio system, a backup camera, remote start, heated power-folding side mirrors, three-zone automatic climate control, and rear park assist. "The Bose audio system [also comes with] a CD/MP3 player, an auxiliary audio jack [and] two rear seat audio jacks," reports Edmunds. New standard features on the 2009 Chevy Tahoe Hybrid include adjustable power pedals, Bluetooth connectivity, OnStar 8.0 with Stolen Vehicle Slow Down, XM Satellite Radio with new real time NavTraffic feature, turn-by-turn navigation, and Destination Download. The 2009 Chevy Tahoe Hybrid's instrument cluster includes an auto-stop position to indicate when the engine is off for fuel-saving purposes. The Detroit News describes the unique instruments that inform the driver of what mode the Tahoe Hybrid is operating in: "To the right, an economy gauge helps maintain an efficient driving style, and the standard navigation system screen can display a real-time status of how power is flowing between the engine, batteries, and motors." Less popular is the standard tire inflation kit that replaces the traditional spare tire in an effort to save weight. ForbesAutos notes "a third-row seat is available but can't be folded flat into the floor...they must be removed manually, which can be quite a chore." Cars.com mentions, "Provided free of charge for the first year is GM's OnStar communication system." The extent of options for the 2009 Chevrolet Tahoe Hybrid, according to Kelley Blue Book, include "power glass sunroof, engine block heater, rear seat DVD entertainment, locking rear axle, six-disc MP3 compatible CD changer and four-wheel drive." Great driving and comfort transpaortation. Great for family , room to get grocery and haul all kinf=d s of supplies. Looking for a different year of the Chevrolet Tahoe?